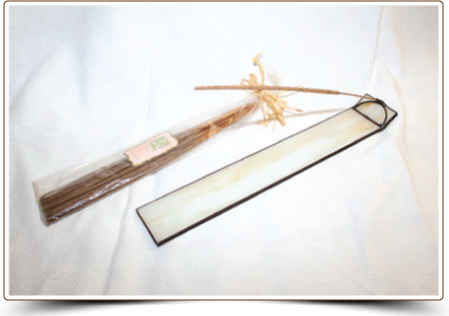 These unique, handmade Stain Glass Incense Holders were handcrafted to hold Vinci & Rakos Handmade Incense perfectly in place. The handsome design and European antique look allows these holders to fit into any room in your home, and make wonderful gifts for family and friends. Annette, who is the niece of Dolores, and Annette’s father Joe, her brother-in-law, created these holders exclusively for Vinci & Rakos. 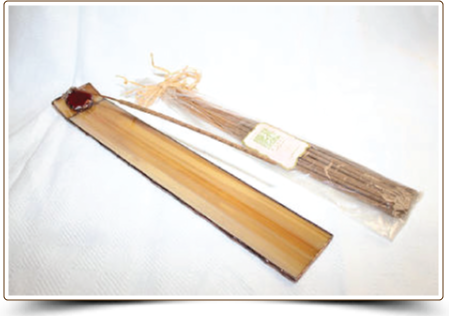 With the purchase of each Stain Glass Incense Holder, you will receive a package of handmade incense. 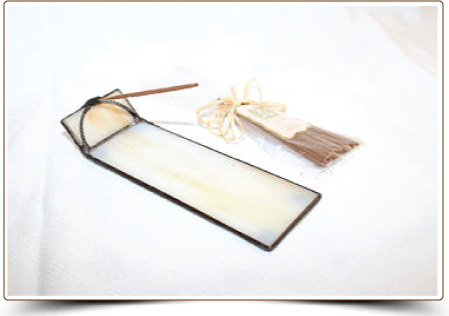 The scented incense is hand dipped and sundried for a long lasting and full bodied effect. You can choose the warm and sensual “Earth” fragrance or select from one of these Vinci & Rakos scents. a minimum of three (3) packages in the same size and scent must be ordered. 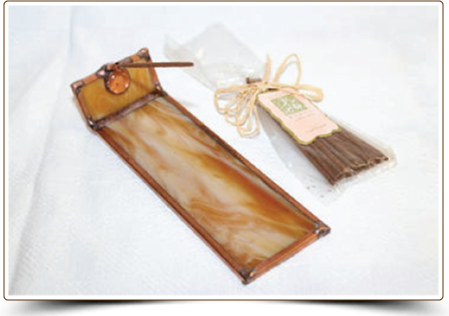 NOTE: Ask about our Limited Edition of Small and Large Stain Glass Incense Boxes. They are just perfect for storing your Incense and displaying at the same time.